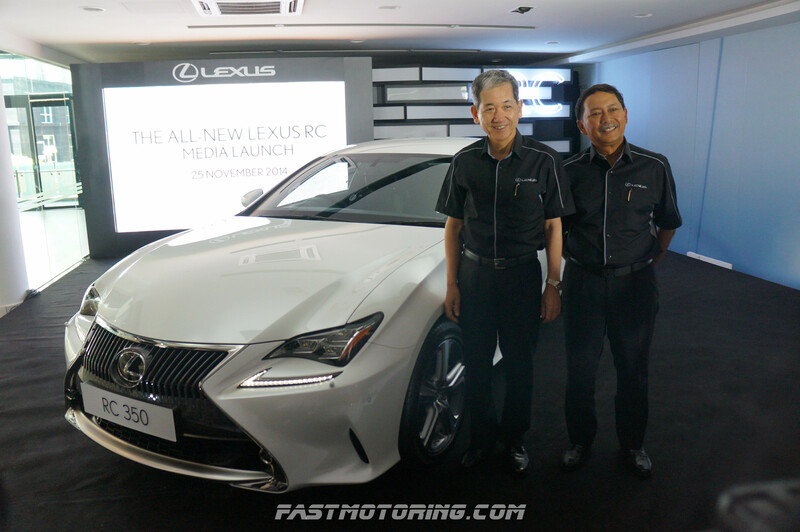 Lexus Malaysia has launched one of the most impressive selection of models for those seeking perfection – the Lexus RC-350 and Lexus RC-F. Both cars mark the return of Lexus Malaysia into the luxury sports segment with elegant styling and brute power, making it the first time that Lexus Malaysia has offered such impressive power in such a beautiful design. The all-new Lexus RC- 350 has a 3.5-litre V6 2GR-FSE, which has all-aluminium construction that keeps its weight down. Key technologies in this engine that give it a broad torque curve and high output include intelligent dual variable valve timing (VVT-i) and the Lexus D-4S system of direct and port fuel injection, enabling maximum efficiency with low exhaust emissions. The engineers chose this engine which produces up to 230 kW/312 hp and 378 Nm of torque for its instantaneous response and strong driving character. The LED headlights are one of the main focus of the exterior. 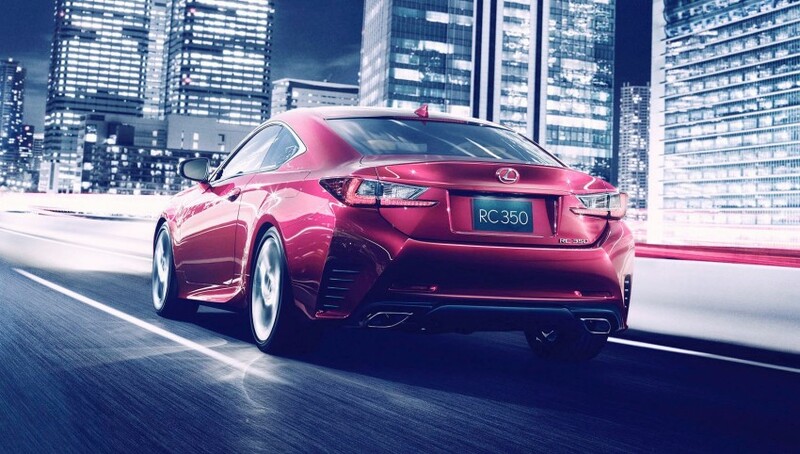 It is a signature feature of the new generation of Lexus models, providing strong illumination while also being distinct design features that identify the RC F as a Lexus model. At the rear, the combination lamps have a unique 3-dimensional configuration of L-shaped LEDs that give the car a distinct signature that can be seen from far away. Besides, Lexus RC- 350 gets an 8-speed Sports Direct Shift transmission with sequential manual shifting. Driver can easily choose one of these three modes- Normal, Sport and Eco. 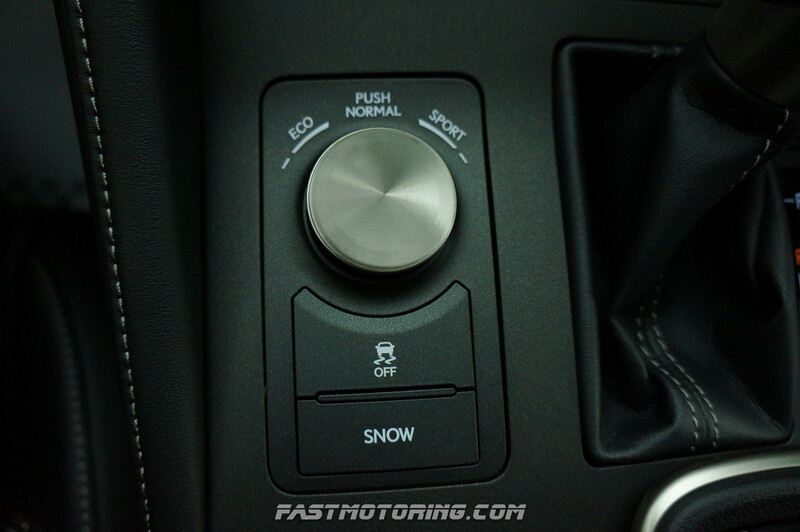 The normal mode is default setting by Lexus to provide balance ride comfort. On the other hand, The eco however programs the air conditioning to specific setting for more fuel economy ride. The sport mode programs the powertrain, electric powered assist steering to specific characteristic for more dynamic performance. The stylish aluminium alloy wheels are 18 inches in diameter with 235/45 tyres fitted on them for maximum grip and stability. The safety equipment includes ABS with Brake Assist, Vehicle Stability Control, Traction Control, Electronic Brake-force Distribution, Hill-Start Assist Control, Tyre Pressure Warning System, and a Whiplash Injury Lessening design for the front seats. Furthermore, the Blind Spot Monitor & Rear Cross Traffic Alert is also available in RC 350 as standard of the active safety package. The RC 350 has Vehicle Dynamics Integrated Management (VDIM) which is an intelligent computerised management system that has all the active safety systems collaborating to give the driver the best control over the car, even in extreme cornering conditions. 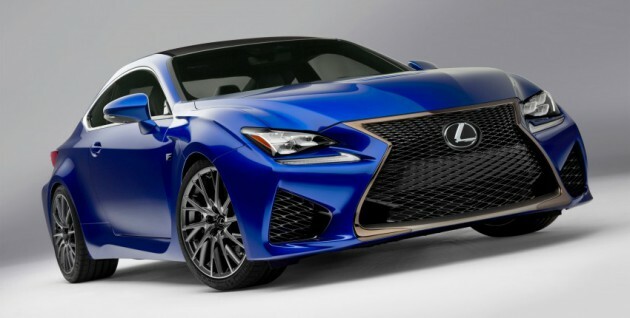 Both Lexus RC- 350 and RC-F offer a Mark Levinson sound system with high resolution speakers that provide a 360 degrees spatial envelopment of sound. 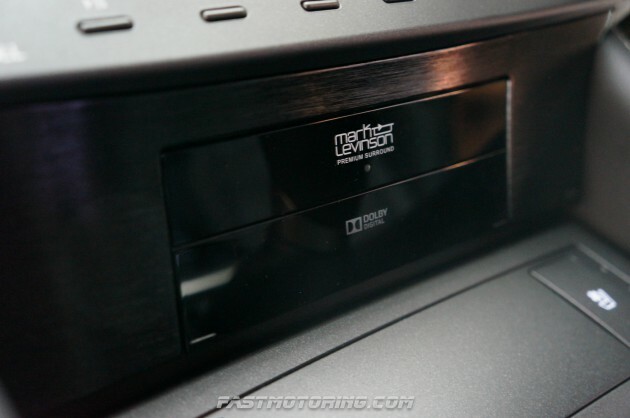 New to both interiors is the RTI Touchpad as part of the cockpit ‘operation zone’ in the center console that gives the drivers images and vibration feedback for a more responsive control. The new RC F has the most powerful production V8 engine (2UR-GSE) from Lexus, with 12% more power than the IS F engine on which it is based. All-new cylinder heads and lighter moving parts have increased the maximum power of the 5.0-litre 32-valve engine to 345 kW/470 hp and 530 Nm of torque, with maximum engine speed increased from 4,800 – 5,600rpm. It has four driver-selectable modes – ECO, NORMAL, SPORT S, SPORT S+ that switches between different driving modes base on driver needs. The RC F has a Remote Touch Interface which uses a smartphone-like touch control and a system information displayed on the 7-inch electro multi-vision screen situated in the middle of the dashboard. 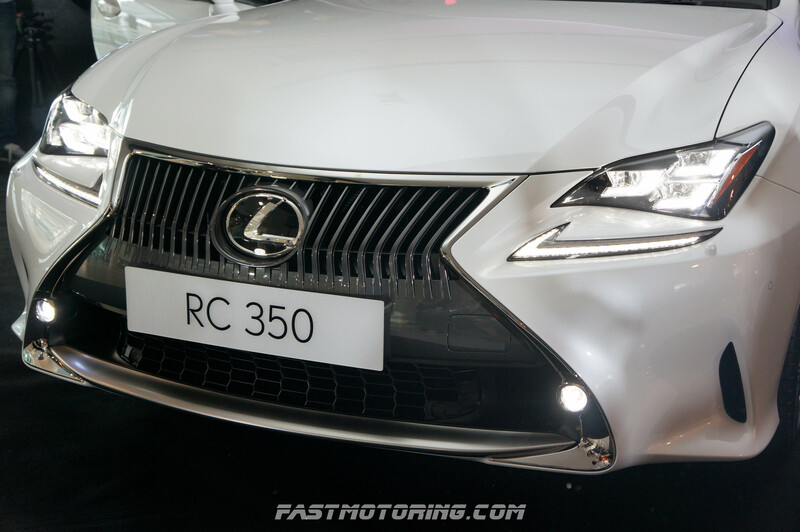 Pricing starting from RM 526,000 for RC-350 and RM 782,000 for the RC-F, OTR excluding insurance.